AirMaster has been addressing New Zealand’s heating and air conditioning requirements since 1977. Whichever brand, we meet residential and commercial clients’ needs for installation and servicing of HVAC systems, whether they prefer a Daikin, Fujitsu or Hitachi. Our four decades in the business has given us extensive product knowledge of the international market’s most reliable brands and the makers’ best models. Throughout New Zealand, we’ve helped businesses and families achieve economical winter heating and summer cooling with our recommendations on the best air conditioning units and heat pump units for their business or home. We offer residential heat pumps in the Whangarei, Kerikeri, and Mangawhai areas and commercial heat pumps in the Northland Region. At AirMaster, we value your comfort. Throughout New Zealand, we supply and install heat pumps and air conditioning units that make living more comfortable. Passionate about the latest innovations, we find systems that offer economical and practical solutions. Our highwall type units are highly efficient and quiet to operate. Compact and easy on the eyes, they are inexpensive to install. 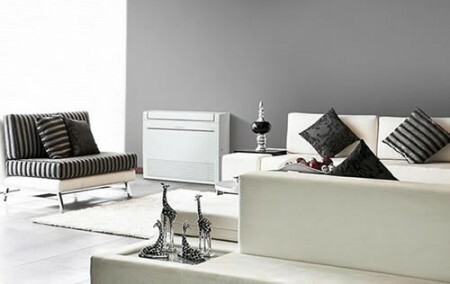 The cassette air conditioners feature advanced cooling efficiency, offering energy savings; the compact floor standing heat pumps deliver warm air in a smart yet efficient package, while the floor/ceiling suspended air conditioners offers space saving solutions. For more information on HVAC systems, feel free to contact us. AirMaster offers complete HVAC solutions. Prior to providing a quote, we can visit your home or business to assess the structure’s insulation, ventilation and windows. From there we give advice on the best system for your property that will let you achieve optimal, comfortable temperatures at economical rates. Our installation team is fully equipped to carry out fast and safe installation services, ensuring that the job is done right and with minimal disruption. We offer a 5-year workmanship guarantee for most jobs except for installing Fujitsu and Hitachi units where we offer a 6-year workmanship guarantee. For your air conditioning and heating requirements, choose true HVAC specialists. Get in touch with our team today on 0800 125 959.